This morning the newly-empaneled Robertson County Grand Jury received a letter outlining the reasons for investigating and ultimately indicting former Hearne City Attorney Bryan F. “Rusty” Russ, Jr. The letter is reprinted in full below. Back on May 5, 2012, I reported that Mr. Russ hid petition signatures in an effort to keep voters from forcing a forensic audit of Hearne’s municipal finances. There’s plenty of evidence of financial misconduct at city hall, and I that suspect Mr. Russ and the rest of the Booger County Mafia are up to their eyeballs in it. Regardless, it was a crime under state and federal law to intercept and hide the petition signatures. I’ve repeatedly asked the Texas Rangers and District Attorney Coty Siegert to investigate Mr. Russ, but thus far no one has responded. That’s not really surprising, given Mr. Russ’s political connections, and that’s why I decided to bypass the ruling class and take the issue directly to the twelve citizens selected at random to serve on the grand jury. Over the weekend, I also filed another bar grievance against Mr. Russ, and I sent the bar a copy of my letter to the grand jury. The grievance is reprinted below my letter to the grand jury. I’m sure Chief Disciplinary Counsel Linda Acevedo was plenty offended by what I wrote, but frankly I’ve given up on trying to persuade her office to do the right thing. As I reported back on February 11, 2016, the state bar has gone to some really perverse lengths to protect Mr. Russ, a former member of one of its grievance committees, so at this point I’m trying to publicly shame the bar into doing the right thing. Incidentally, if you want to share your own thoughts with Ms. Acevedo, send her an email at lacevedo at texasbar.com. YOU MEAN WE GOT LAWS IN THIS STATE? At its last meeting, the city council was asked to approve a $400 donation of city funds to help send local high school students to cheerleading camp. That’s illegal. The Texas Constitution prohibits politicians from using other people’s money (i.e., taxpayer’s money) to support the favored causes of politicians. City employees signed the check before getting approval from the city council, but unfortunately that’s the way things have always been done at city hall. 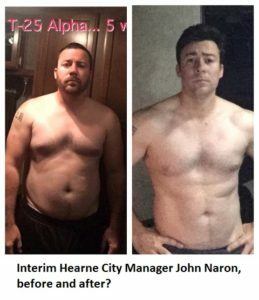 If Interim City Manager John Naron was qualified to be city manager, however, he would have known that the donation was illegal. I’m told there have been many more such illegal appropriations, and I’m sure they’ll be identified in the ongoing forensic audit. The city council, meanwhile, needs to hire a qualified city manager. Mr. Naron seems like a nice guy, but I don’t think he realizes just how little he knows. Incidentally, Mr. Naron posted a video on Facebook last night complaining (around 9:00 minutes into the video) that I had lumped him together with the Booger County Mafia. I certainly did not mean to imply that in yesterday’s post, and I apologize for the confusion. I think Mr. Naron is well-meaning, but naive and immature. He had no municipal experience and very little managerial experience when he was hired, and it shows. An experienced manager would have enough sense not to lecture his bosses (i.e., the city council members) in a self-promoting video post. And by disavowing knowledge of local corruption and pretending to be above the fray, Mr. Naron is really serving his own interests rather than the interests of the city. Some issues have no middle ground, Mr. Naron, and public corruption is just such an issue. If you don’t understand that, then you don’t need to be running a city. Please, Mr. Naron, drop the self-promoting reality star campaign and focus on saving your patient rather than securing your political future. If you do the right thing, your work will speak for itself. I represent former Hearne Mayor Milton Johnson, and I write to request a criminal investigation of former Hearne City Attorney Bryan F. “Rusty” Russ, Jr. As you probably know, recent media reports have disclosed significant financial improprieties in Hearne’s city government. On or about March 21, 2016, Mr. Johnson submitted 517 signatures in support of a petition to force a forensic audit of city finances. The signatures were accepted by the city secretary, and normally they would have been transferred immediately to the county elections administrator to verify their authenticity. On this occasion, however, Mr. Russ intercepted the signatures and held them at his private office in order to prevent their verification and thereby prevent Hearne citizens from voting on whether to compel the audit. On March 23, 2016, I sent an email to Mr. Russ explaining that I had just been informed that the petitions had not been submitted to the county elections administrator but instead had been directed to Mr. Russ, and I asked Mr. Russ when the signatures would be submitted. See March 23, 2016 E-mail string between Ty Clevenger and Rusty Russ (Exhibit 1). Mr. Russ’s entire response was as follows: “who do you represent?” Id. I replied that I represented Mr. Johnson, Councilwoman Shirley Harris, and Council candidate Rodrick Jackson (who was subsequently elected). Id. Thereafter, Mr. Russ did not respond. On April 6, 2016, Mr. Russ sued Mr. Johnson on behalf of the City of Hearne in an attempt to keep Hearne residents from voting on whether to compel the audit. He continued to hold the signatures at his office rather than submit them to the county elections administrator. On April 7, 2016, I sent a letter (Exhibit 2) informing Mr. Russ that I would counter-sue him on behalf of Mr. Johnson if he did not turn the signatures over to the elections administrator. That same day, Mr. Russ finally provided some of the signatures to the elections administrator. On April 8, 2016, the county elections administrator hand-delivered a letter to Mr. Russ stating that there were only 318 signatures on the petitions, and 35 of the signers were not registered voters. Obviously, that is far fewer than the 517 signatures gathered by Mr. Johnson and his colleagues, and it was not enough signatures to place the initiative on the ballot. Mr. Russ, however, did not share Ms. Hancock’s letter with the city council, Mr. Johnson, or any of the other petition organizers. If he had, that would have tipped them off that some of the signatures were missing. They only learned about the letter because I asked Ms. Hancock about the status of the certification process on April 21, 2016, and she provided me a copy of her letter to Mr. Russ. According to Ms. Hancock, the cover sheet on the petitions stated that there were 93 pages, but she did not receive 93 pages. As it turns out, Mr. Russ provided Ms. Hancock only with the signatures gathered by Mr. Johnson, and not the signatures gathered by Shirley Harris, Ola May Harris, and the other organizers. In other words, he deleted some of the pages and hid some of the signatures in order to keep the petition from qualifying for the ballot, then he hid Ms. Hancock’s letter in order to keep the council and the petition organizers from figuring out what he had done. On April 21, 2016, I counter-sued Mr. Russ on behalf of Mr. Johnson, in no small part because Mr. Russ was still hiding some of the signatures. Six days later, on April 27, 2016, Mr. Russ finally provided the remaining signatures to Ms. Hancock. On May 5, 2016, I sent an email to Ms. Hancock asking whether she planned to notify the City of Hearne of the increased number of signatures. She replied that she could, but Mr. Russ had told her that it would not be necessary. Yet again, Mr. Russ was trying to deceive the city council, the petition organizers, and the public in order to keep the issue off of the ballot. Under Texas law, a person is guilty of a felony if he or she “intentionally destroys, conceals, removes, or otherwise impairs the verity, legibility, or availability of a governmental record.” Texas Penal Code §37.10(a)(3). That is exactly what Mr. Russ did by removing and concealing the petition signatures. It also appears that Mr. Russ may have had some help from Ms. Hancock. I have enclosed a May 11, 2016 email from me to Ms. Hancock (Exhibit 3) outlining the reasons for my suspicions, but she never responded to that email. I urge you to subpoena both Mr. Russ and Ms. Hancock and compel them to explain themselves. You may be wondering why I am writing directly to you, the grand jurors, rather than directing this to law enforcement or the district attorney. As it happens, I have reported Mr. Russ’s criminal activity to both the Texas Rangers and District Attorney Coty Siegert, but neither of them have responded. Mr. Russ has very strong political connections, and thus far nobody in law enforcement has been willing to hold Mr. Russ accountable for his crimes. On my web page BoogerCountyMafia.com, for example, I have uploaded evidence that Mr. Russ and his law partner, James H. “Jimmie” McCullough, stole approximately $1 million worth of mineral interests from Robertson County landowners with the help of District Judge Robert M. Stem. Mr. Russ provided free legal services to Judge Stem around the same time that Judge Stem helped him steal the mineral interests. The free legal services were a misdemeanor at the very least, see Texas Penal Code §§ 36.08(e) and 36.09, and felony bribery at worst, see Texas Penal Code § 36.02, but the limitations period had lapsed before I learned about them. Nonetheless, Judge Stem, Mr. McCullough and others might still be charged with engaging in organized criminal activity based on those earlier incidents. See Texas Penal Code § 71.02. That’s because the limitations period for an organized crime charge is extended every time a new crime is committed in furtherance of the “combination” or criminal enterprise. In this case, the criminal enterprise is the corrupt political machine run by Mr. Russ, Mr. McCullough, and Judge Stem, and the most recent crime in furtherance of that enterprise was Mr. Russ’s tampering with the petition signatures. Since Judge Stem has already admitted under oath that he illegally accepted free services from Mr. Russ, I urge you to subpoena the judge and compel him to testify about any other “gifts” that he may have accepted more recently, as well as any ongoing business relationships he may have with Mr. Russ or his firm. You may wish to view my July 29, 2015 blog post (http://lawflog.com/?p=883) about financial corruption at city hall, as that will give you some idea of why Mr. Russ was trying so hard to keep the forensic audit off of the ballot. Mr. Russ and his cronies have been profiting from government corruption in Robertson County for decades, and the last thing they wanted was an investigation of Hearne’s finances. Fortunately, a new majority on the city council voted to hire a forensic auditor anyway, and I suspect you will start receiving new information about Mr. Russ’s crimes over the coming months. Lest there be any doubt, you do have the right as grand jurors to initiate your own investigations, regardless of what the district attorney does or does not want you to investigate. “In consideration of the importance of the place occupied by the grand jury in our system of government, Texas courts have long described the grand jury as a separate tribunal, independent of the control of judges and prosecutors, whose proceedings are secret, vested with broad inquisitorial powers.” Whittington v. State, 680 S.W.2d 505, 512 (Tex.App. – Tyler 1984, pet. denied). Grand jurors may “act on their own knowledge and … [are] free to make their presentments or indictments on such information as they deem satisfactory,” Costello v. U.S., 350 U.S. 359, 361 (1956) (cited with approval in Whittington, 680 S.W.2d at 511). Because Mr. Russ has such strong political connections, however, I strongly recommend that ask Judge Stem and Mr. Siegert to recuse themselves from any cases involving Mr. Russ and his cronies. 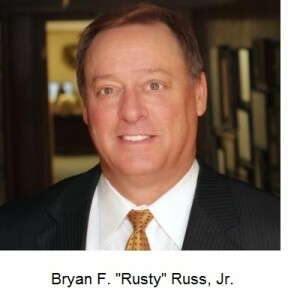 Finally, I ask that you indict Mr. Russ and his son, Bryan F. “Trey” Russ, III, for barratry. According to the Texas Penal Code, a person commits a felony “if, with intent to obtain an economic benefit the person… knowingly institutes a suit or claim that the person has not been authorized to pursue.” Texas Penal Code §38.12(a)(1). In 2014, Rusty Russ and Trey Russ both purported to file counter-claims on behalf of the City of Hearne in Hearne Citizen Oversight Committee, et al. v. Hearne Texas City Council, et al., Cause No. 14-08-19,607, 82nd District Court of Robertson County, Texas. Neither of them had been authorized by the city council to file the counter-claims, and they sought (and received) payment for the unauthorized counter-suit. As I explained in a December 12, 2014 letter to Rusty and Trey Russ (Exhibit 4), state law clearly required a majority vote of the city council before claims could be filed on behalf of the city. In this case, the council not only had not voted on the issue, but half its members expressly objected to the filing of the counter-claims. Id. ; see also Affidavits of Hazel Embra (Exhibit 5); Joyce Rattler (Exhibit 6); and LaShunda White (Exhibit 7). The letter also notes that the Russes had been warned before they filed the counter-claims that they needed council authorization. I even sent multiple emails and letters (Exhibits 8, 9, and 10) encouraging them to call the state bar’s free ethics hotline to verify for themselves what I was telling them. Instead, they proceeded with the unauthorized lawsuit and kept billing the city. As you can see from the email exchanges, Mr. Russ thought he was above the law. I believe it is important to indict Trey Russ along with his father, because that may very well be the key to bringing down the larger criminal enterprise. Under normal circumstances, Rusty would not cooperate in an investigation of Judge Stem, Mr. McCullough, or any of his other cronies. If Trey is indicted, however, Rusty will probably sing like a canary in exchange for leniency for Trey. The Russes have never had to play by the same rules that apply to the average citizens of Robertson County, and I hope you will change that. If the political corruption in Robertson County is ever going to end, then law-abiding citizens such as yourselves will have to end it. I write concerning Bryan F. “Rusty” Russ, Jr., a member of the State Bar of Texas. With the electronic version of this letter, I have attached a July 9, 2016 letter to the Robertson County Grand Jury with its exhibits. I incorporate that letter and its exhibits by reference. Yet again, Mr. Russ has perpetrated a felony while acting as an attorney, and yet again I am filing a grievance against him. Frankly, I am filing this grievance partly out of curiosity, because I genuinely want to know just how far your office will go to protect Mr. Russ. As your records will reflect, I have previously filed grievances against Mr. Russ for barratry, a seven-figure real estate fraud, and flagrant conflicts of interest, e.g., representing clients on both sides of the same case. Each time, the grievances have been dismissed. Most recently, your own personnel obtained a transcript of Mr. Russ’s testimony wherein he admitted his involvement in the seven-figure fraud. They obtained that transcript while prosecuting me for something spurious, and I agreed to settle my case because I was told that your office wanted to pursue the fraud case against Mr. Russ and his partner. After I settled the case, no charges were filed against Mr. Russ or his partner. Go figure. In retrospect, I wish I had never settled. Before settling, I asserted a selective prosecution / equal protection defense, and I now wish I had seen it all the way through to a jury verdict. Why? Because there is an obvious double standard for golden boys like Mr. Russ, who previously served on one of your grievance committees, and the rest of us peons (never mind a peon like me who is an outspoken critic of the lawlessness and favoritism in your office). It would have been nice to publish a jury verdict impugning your office for its hypocrisy (and I may yet represent a colleague pro bono against your office in order to obtain just such a verdict). So I must ask, just what does it take for your office to prosecute one of the golden boys? Does Mr. Russ need to rob a bank or murder someone? Is a million-dollar fraud not enough? As explained in my letter to the grand jury, there is already sufficient evidence to prosecute Mr. Russ and his cronies on organized crime charges. In addition to my letter to the grand jury, I wish to incorporate by reference all of my prior grievances against Mr. Russ as well as the contents of BoogerCountyMafia.com and its supporting documents and links. I published that website and I vouch for its contents. I allege that Mr. Russ’s latest crime is part of a larger pattern of professional misconduct and criminal activity. In particular, I allege that Mr. Russ has engaged in organized criminal activity in violation of Section 71.02 of the Texas Penal Code. Finally, I object to the participation of K.W. Morgan in the processing of this grievance. Ms. Morgan dismissed my previous barratry complaint against Mr. Russ on the grounds that I had already filed a grievance on the same subject matter. Obviously, she failed to read that grievance or the prior grievances (or perhaps any of them). I showed the dismissed grievance to Chad Childers, and he agreed that it was unrelated to my previous grievances, but I had no avenue of appeal because of the way Ms. Morgan classified it. She has been very careless in evaluating other grievances that I have filed, and I ask for the assignment of someone else to this grievance (or any other grievance that I file).